The perfect puzzle for any fan of space is here! 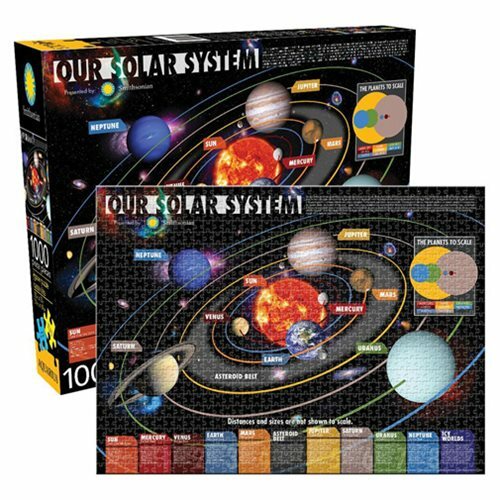 This fun & educational 1,000-piece puzzle features our solar system! The Smithsonian Solar System 1,000-Piece Puzzle measures 20-inches tall x 27-inches wide when complete. Ages 14 and up.